I am trying to think of a reward for an incentive to reward myself for paying off two credit cards and cancelling them too!! Also trying to set date for reward – should i wait till sears card is down lower or do it just for other two cards only!! Can anyone think of other ideas? Well today i made a payment on CIBC Visa of 439.76 bringing balance to even 1,000.00!! Two more payments of 500.00 each and it will be cleared up!! Card is cancelled too!!! Hoping to have it cleared by end of April!! I am supper excited today because I have the privilege of saying I was able to pay off one of my credit cards!!! I paid off RBC Credit Card of $1,000!!! I think that this weekend will be a quiet,reflective weekend for me. I may attempt to do some writing this weekend in the midst of organizing my house etc.. 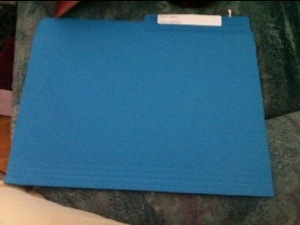 I have organized all my writing now in folders – labelled and everything!! 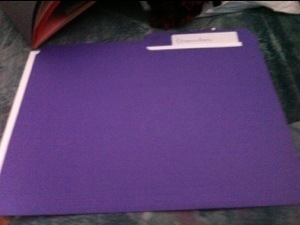 Took awhile to complete because I even printed out all poems and placed in folders!! Thank you for all the kind words and encouragement!!! Today, I was able to pay $400 on the one bill!!! Yeah!!! Once I get paid from PSW client end of month – $600 will be going towards the rest of RBC credit card!! So I decoded that the best way to accomplishment my goals and stay on track with debt repayment and addiction recovery is to voice it out loud to friends and fans!! My first financial goal is to pay $1000 credit card and overdraft off by mid April!! My second financial goal is to pay $1500 cibc card off mid May!! Plus overdraft!! My third financial goal is to bring down my sears card as well by mid july!! My other card is 6800 and i thought id conquer small cards first!! !